Teachers around Great Britain are rejoicing – why? It’s the holidays! That makes me happy as it means more time for baking! One of my bestest friends Rachael has just had a gorgeous baby boy so I thought the family may be in need of some sugary, chocolaty goodness to keep them all going so I decided chocolate chip cookies were most definitely needed! This is a Hummingbird Bakery recipe from The Hummingbird Bakery Cookbook. 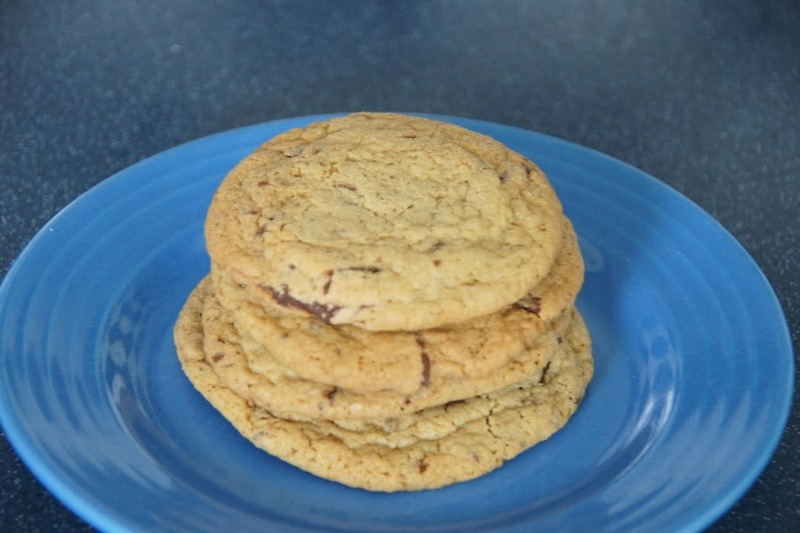 It’s the same book that the oat and raisin cookies that I’ve previously featured come from. 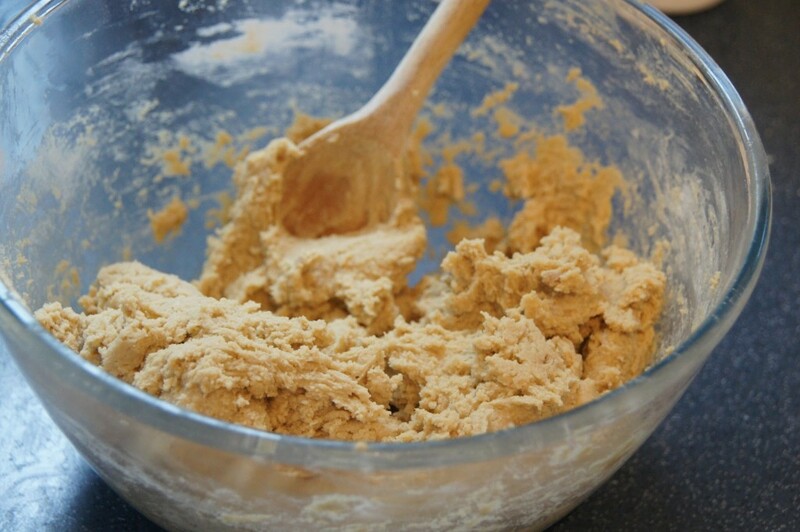 This recipe makes 24 cookies. 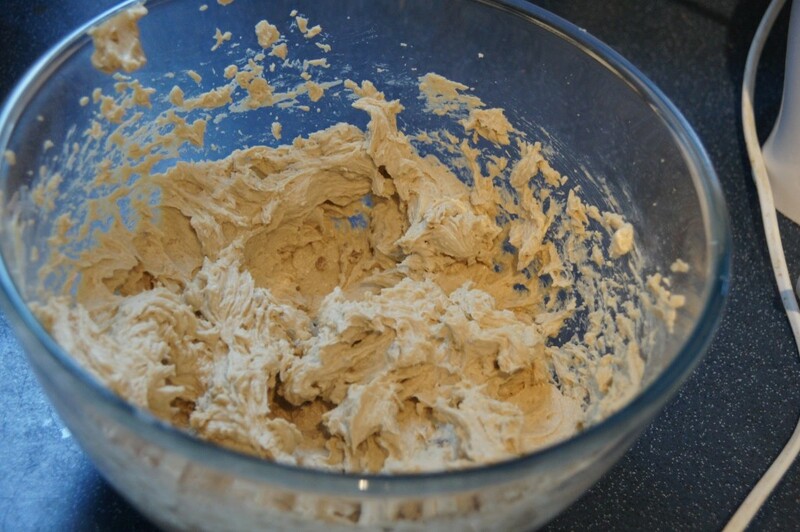 3) Add the flour, salt and bicarbonate of soda and mix well until a smooth dough is formed. 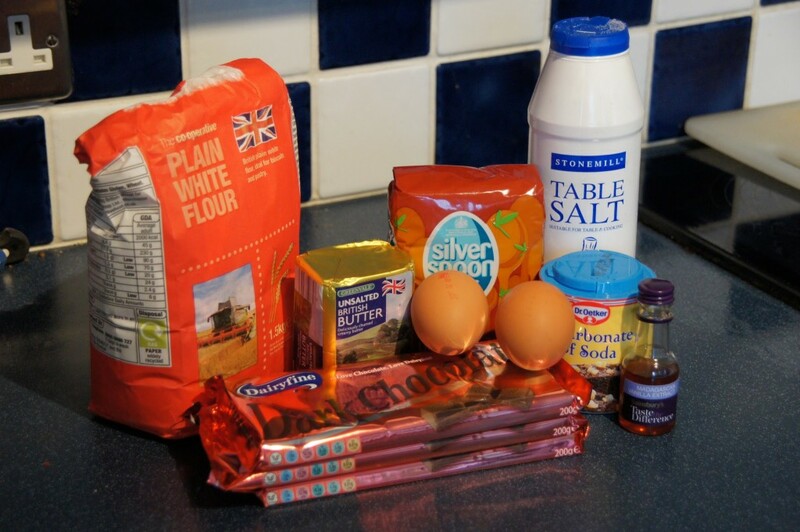 4) Roughly chop the chocolate and stir into the dough mixture until it is evenly dispersed. 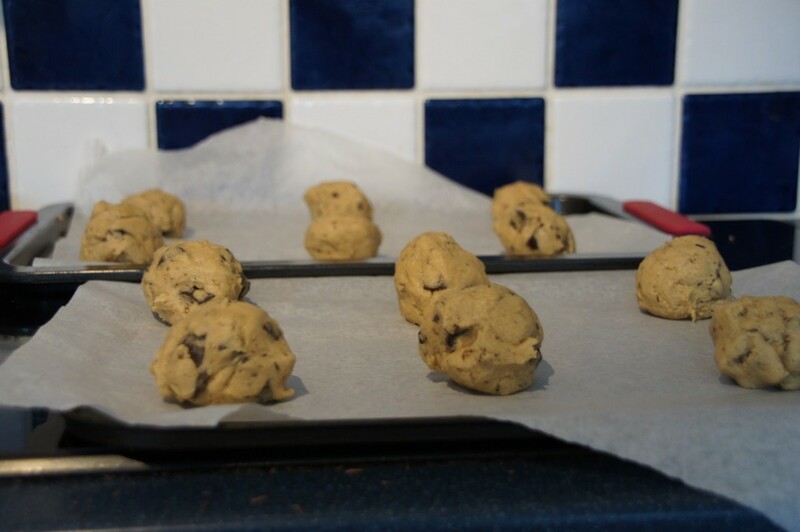 5) Arrange six equal amounts of cookie dough onto each prepared baking tray. Make sure that there is enough space for the cookies to spread while baking.